A county full of colour and contrasts, it's the perfect destination for a weekend break with fellow like-minded people. Come and enjoy the craic with sight-seeing, live music and plenty of Guinness or Irish Whisky if that’s your tipple of choice. Cork is an historic, creative, exciting, ever-changing city with extraordinary surprises to be discovered every time you turn a corner. You just have to be curious enough to venture off the beaten path. The possibilities are endless, so forget what you think you know. Take a chance, roll the dice and see where it leads you. On the South Bank of the River Lee in Cork, The Kingsley Hotel features a luxury, organic Spa, a modern health club and an indoor pool. The hotel also offers free WiFi available throughout. Individually decorated, each luxurious room comes with air-conditioning, a TV with satellite channels and tea and coffee making facilities. Most rooms have stunning views over the river. The hotel boasts 2 unique restaurants and a classic, stylish bar and guests can enjoy a classic afternoon tea by the river. 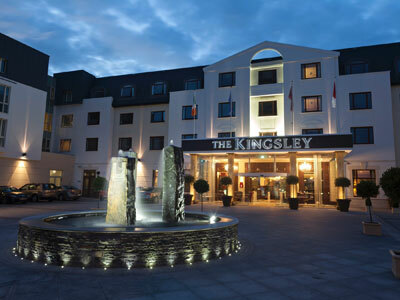 The Kingsley Hotel is just 300 yards away from Cork University and 15 minutes’ walk from Cork’s city centre. Upon arrival in Cork we’ll check-in then head off for our first adventure within this vibrant City and have some lunch. We’ll then hop on board the red double-decker bus for your Cork sightseeing tour which lasts approx. 90 minutes. Experienced drivers will add their unique insight into the best attractions in the city. 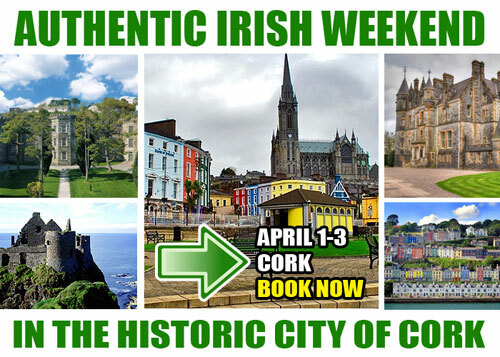 The tour includes convenient stops at Cork's most popular cultural and historical attractions - Cork City Gaol, the Shandon Bells, U.C.C. and the award winning Glucksman Gallery, the English Market, art galleries, shops and restaurants. After selecting a restaurant of choice and having some traditional fair we’ll explore some of the local drinking haunts on the famous Cork Pub crawl where you’ll experience the best night out you can have in Cork City! You'll meet new friends and have lots of craic! The Cork Fabulous Tasting Trail is led by Alice Coyle on Saturday mornings and lasts three hours. Stops are made at outdoor and indoor markets, cafés, restaurants and pubs – so go easy with your breakfast. Put on your ear defenders, climb the bell tower at St Anne’s Church in the historic Shandon area of Cork and pull the ropes hard to ring the bells. Choose your own tune, from Amazing Grace to Waltzing Matilda. Full of a rich vein of Cork humour, the English Market is the oldest market of its kind in Europe, and the shelves groan with Irish artisan produce and farmhouse cheeses from the mild to the ultra-mature. Delicious stuff. Just off Patrick’s Street lies the Crawford Gallery, an artistic institution since its beginnings in 1884. At the heart of the gallery lies the famous Canova Casts, a series of plaster casts donated by the Vatican Museum to the Cork Society of Arts in 1818. Admission is free. And for the bookish-minded, you can pick up a free audio literary walking tour of Cork, or download one on to your MP3 player at the Cork City Library. On Saturday night more craic afterwards with drinks in the An Spailpín Fánach where vibrant traditional music rolls out and where you’ll also get a fine pint of stout. Savvy locals know Sin É is one the best pubs for fiddle players where, on an average night, up to 10 could be performing.